"A yummy hot artichoke spread that's perfect for company! Smooth and cheesy wins the race to your happy tummy. Serve it with bread, crackers or veggies." At Panera I had their new turkey and artichoke panini. 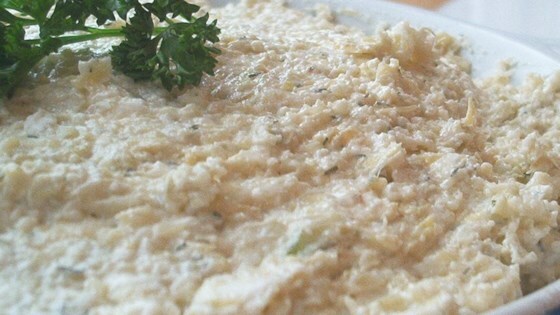 It was so good I wanted to make it for dinner, this artichoke dip works perfectly as the sandwich spread! Yummy, thanks for the recipe!